What do you do when you find yourself in a reader's block (A term coined by me akin to writer's block)? Of late, I was finding reading at a stretch difficult. I was picking a book and abandoned it after turning a few pages and I couldn't read more than a few pages at a stretch. Even though I have a good pile of interesting titles on my shelf, I was wary of picking them up. In such situation, I thought it would be best to pick up a book that I knew would keep me glued. Nicholas Sparks is one author whose books does that to me. Simple language, easy reads and heart touching stories - this combination doesn't go wrong for me. 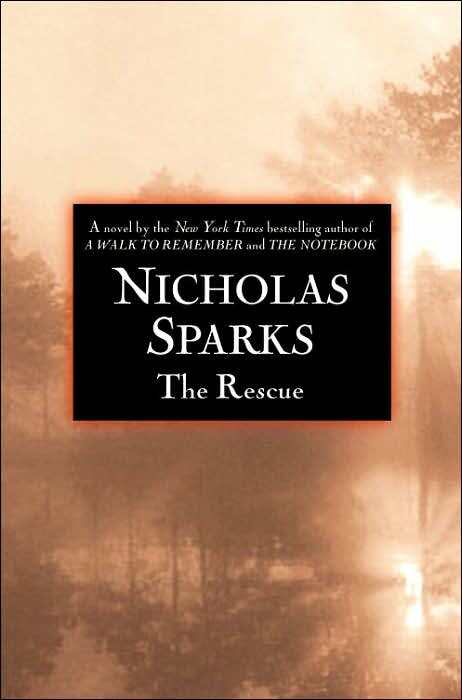 I picked up 'The Rescue' by Nicholas Sparks to get myself in reading mood and the book lived up to my expectation. The book has all elements of typical Sparks book - love, relationship, romance, friendship, country life, unexpected dramatic twists. Be prepared to keep a few tissue papers handy. If you have read his books, then you know what I mean. Here is the blurb from the book, that gives an idea about the storyline, but, let me tell you there is more. "When confronted by raging fires or deadly accidents, volunteer fireman Taylor McAden feels compelled to take terrifying risks to save lives. But there is one leap of faith Taylor can’t bring himself to make: he can’t fall in love. For all his adult years, Taylor has sought out women who need to be rescued, women he leaves as soon as their crisis is over and the relationship starts to become truly intimate. When a raging storm hits his small Southern town, single mother Denise Holton’s car skids off the road. The young mom is with her four-year-old son Kyle, a boy with severe learning disabilities and for whom she has sacrificed everything. Taylor McAden finds her unconscious and bleeding, but does not find Kyle. When Denise wakes, the chilling truth becomes clear to both of them: Kyle is gone. During the search for Kyle, the connection between Taylor and Denise takes root. Taylor doesn’t know that this rescue will be different from all the others, demanding far more than raw physical courage. It will lead him to the possibility of his own rescue from a life lived without love and will require him to open doors to his past that were slammed shut by pain. This rescue will dare him to live life to the fullest by daring to love." After reading a little more about the novel on the web, I was surprised to know that the character of Kyle is inspired by Sparks' second son - Ryan. Kyle in the novel has what’s called Central Auditory Processing Disorder (CAPD), which is something akin to “dyslexia of sound.” He didn’t talk because language is jumbled for some reason, though no one knows the reason. The sacrifices her mother, Denise makes for him and the way she strives to make him speak makes you wonder about motherly love. It was more surprising to know that the author and his wife has been through that phase and Denise is a character inspired by her wife in many ways. I would encourage you to read this for know about the inspiration behind this novel. The novel is not so much about Denise or Kyle but about Taylor McAden. Although, his first entry in the novel is not a hero's but slowly the focus shifts from Denise's life to Taylor. Taylor has his own demons to face and only after a tragic and dramatic incident in his life, he gathers the courage to do so and eventually rescues himself from a life devoid of love and companionship. Apart from some description of fire rescues, which I found uninteresting to go through in detail, this book was an breezy read. Nicholas Sparks know how to tug the chords of your heart and this book does exactly that. Recommended if you are a Sparks' fan. Read it even if you have not read any of his works. Linking to R of A-Z challenge.You can see my A-Z Reading Challenge list here. I have read a few of his novels, but they just do not appeal to me any more. Although your review was interesting I do not think it has inspired me to try reading this one.